The 2019 Toyota Tacoma, with its beefy engine and high towing capacity, easily embodies all the ruggedness we’ve come to expect from the pickup truck class. However, Doral, Kendall, Hialeah, and Miami drivers will find it offers so much more than this. In this Tacoma review, the Doral Toyota team will gladly show you what kind of safety and infotainment this truck brings to the table in addition to power. Power is the true cornerstone of any pickup truck. In order to haul equipment, power through rough terrain, and confidently scale rocky paths, you need a hard-working engine on your side. The 2019 Tacoma comes standard with a 3.5L V6 engine that is capable of producing 278 horsepower and 265 lb-ft of torque. Pair that with a 6-speed electronically control automatic transmission with intelligence and you get a smooth and speedy response every time you hit the accelerator. With this standard engine, you’ll be able to tow up to 6,400 pounds of additional cargo. You can hook up a pop-up camper or a boat to your Tacoma without a problem. Features like the included Class-IV hitch receiver and 4- and 7-pin connector will make this as easy as possible. 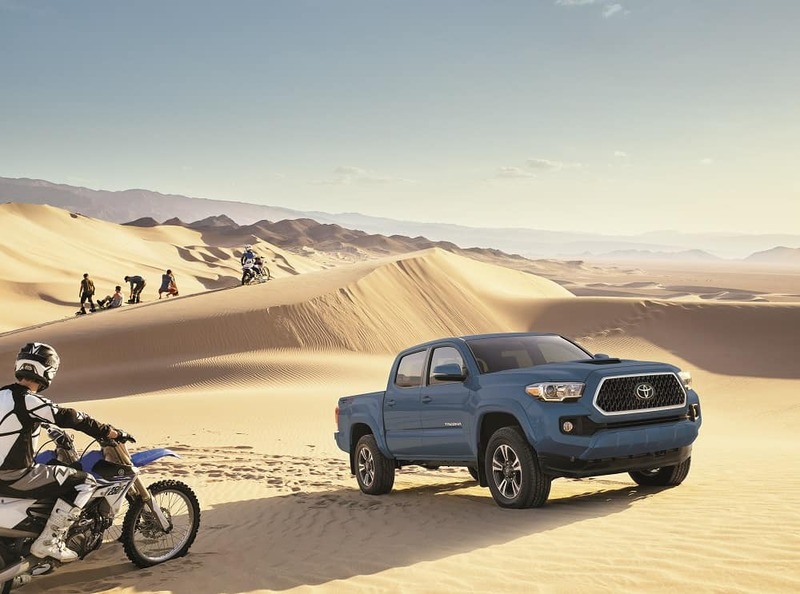 No matter what kind of adventure you may be striking out on, the 2019 Tacoma has the power necessary to keep up with you. When it comes to pickup safety, most trucks rely on a smart drivetrain and traction controls to pull them through. The Tacoma certainly includes these things with its standard 4-Wheel Drive system with an automatic limited-slip differential. That prime wheel-grip and stability will keep you on course even when roads are loose or slippery. However, the Tacoma goes above and beyond with standard Toyota Safety Sense™ P (TSS-P). This includes a number of smart safety technologies that use radar to predict and prevent collisions. The Pre-Collision System with Pedestrian Detection is a great example of what TSS-P can do. Using its sensor network, it can detect when you may be on course to hit a pedestrian. It will then hit the brakes to keep everyone safe. With TSS-P, you’ll practically have another set of eyes on the road with you at all times. TSS-P isn’t the only tech array you’ll be able to make use of while on the road. The Toyota Tacoma also comes standard with the Entune™ audio suite. The Entune™ package in the base trim level comes with a 6.1-inch touchscreen display, six speakers, and Bluetooth®. The latter provides music streaming and hands-free telephone calls. However, with Siri® Eyes Free, you’ll have hands-free texting, too. That’ll help to always keep your hands on the wheel where they need to be. If you upgrade your Entune™ suite, you’ll have a multitude of add-ons to enjoy. In higher trims, there’s a navigation system to ensure you never get lost in your Tacoma, as well as a heavily modified speaker system. In this suite, fun and convenience will always converge. 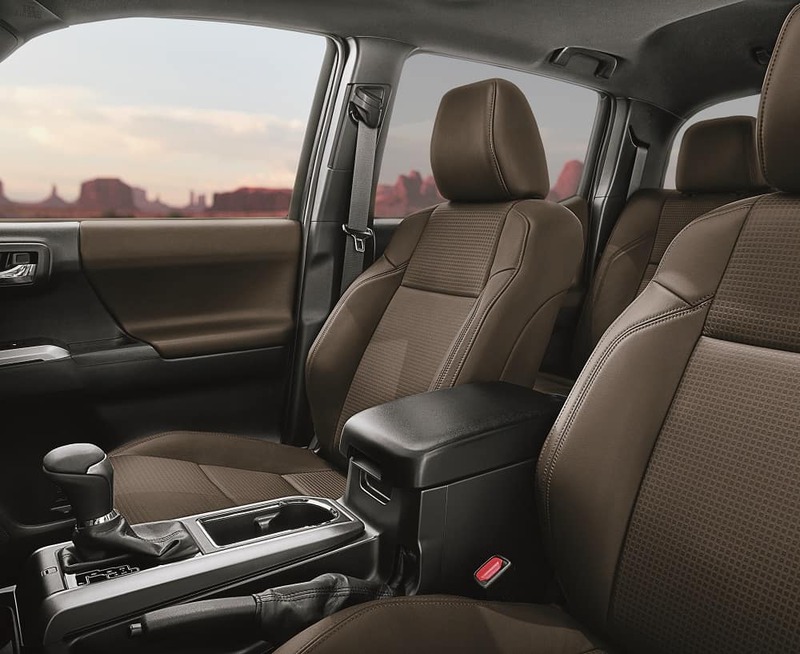 With a brawny engine and a slew of technologies just for your entertainment and protection, the 2019 Toyota Tacoma does not disappoint. Why not take one for a spin around the Doral, Hialeah, Miami, and Kendall areas? Contact the Doral Toyota team online or over the phone today to schedule your test drive.